So, just what are your goals in life; or better yet, do they fit into God's will and plan for you? Today on the Lighthouse Report, former Miss America Teresa Scanlan tells what she’s learned about that. When Lon Allison of Misson America invited some neighbors over to his house to view a video, he never expected what would happen! Lon was surprised when a certain individual showed up at his door. Can your past experiences help you connect with people? Leah Adams knows they can. On today's Lighthouse Report, Leah tells us how she connected with a young girl named Brittany. Are you alert to the opportunities God places in your path to be a Light for people? Recording artist Mike Weaver (of Big Daddy Weave) talks about what he has seen on today’s Lighthouse Report. After walking on the moon, former astronaut Charlie Duke’s view of God changed dramatically. Listen to what Charlie has to say about his “out of this world” experience on today's Lighthouse Report. During a dark time in her life Debora Coty seemed to lose faith. But God didn’t forget her! Hear how God worked in life’s circumstances today on the Lighthouse Report. It’s easy to feel “overwhelmed” sometimes, isn’t it? Well, Robert Morgan says that by taking things one step at a time, and by spending time alone with God, he has been able to find direction. He explains on today's Lighthouse Report. Comedian Jim Labriola found a "niche" for himself on the TV show “Home Improvement.” Since then he’s grown a lot in his faith and it changed the way he did comedy. On today’s Lighthouse Report, he shares an experience he had with a fellow comedian as they worked on a cruise ship. Patience and endurance are difficult to maintain sometimes, but through Christ, all things are possible. Joni Earickson Tada speaks from her own experience today on the Lighthouse Report. You know, we really are all the same, in that we each need a Savior – Jesus Christ. Well, today on the Lighthouse Report, Joe Kissack explains. Knowing God! It’s a goal we all have. Anne Graham Lotz has that as her goal in life too. She elaborates on today’s Lighthouse Report. You may be surprised how God might use you to change a friend’s life. Take Eric Parks for example. He is our guest on today’s Lighthouse Report. You know, God can use our brokenness for His glory. Today on the Lighthouse Report, Sharon Jaynes explains how she came to realize God’s plan for her life. Prayer- Care- Share... It’s a common subject here on the Lighthouse Report. Well, today, Lynn Cory gives his personal perspective. When Joan Parsons decided to start a neighborhood Bible study, she really began to see God work in some astonishing ways. Joan says, praying for one woman's husband changed everything! She shares the story on today's Lighthouse Report. How would you answer or could you answer … Did God create the universe? Is He responsible for evil? Is He still around? On today’s Lighthouse Report Steve Douglass sheds “Light” on these questions. It might seem like we’re living in fearful times, but the Bible says God has not given us the spirit of fear. On today’s Lighthouse Report, Dwight Bain explains. Do you take every opportunity to share your faith? Your relationship with Christ is really where it all begins. Rebecca St. James gives her thoughts on today’s Lighthouse Report. Caught in a downward spiral due to poor life choices, David Kyle Foster was at his wit’s end. David describes what changed for him on today's Lighthouse Report. Life gets pretty hectic sometimes, doesn't it? Well, despite the anxieties of day-to-day life, you can have peace! Singer Heather Payne talks about that on today’s Lighthouse Report. As we grow in our relationship with Christ, we tend to grow closer together in our marriage relationship as well. Today on the Lighthouse Report, Dr. Gary Chapman discusses relationships. Letting go of past hurts is freeing, and as Greg Anderson explains, forgiveness is what enabled him to move forward in a relationship with his father. Listen as he explains on today’s Lighthouse Report. You know, you probably don’t have to go too far to find someone with needs. Today on the Lighthouse Report, Pastor Wayne Gordon gives a personal example. Have you ever found yourself in a seemingly hopeless situation? If so, Wayne Hastings has some encouragement for you! Wayne loves to share Christ’s hope with people. He provides just that on today's Lighthouse Report. 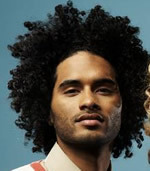 For music artist Manwell Reyes (of Group 1 Crew), he knows that being “real” with people is a great way to connect. He tells us why on today’s Lighthouse Report. For one man, prayer made a life-changing difference! Duck Dynasty’s Al Robertson explains how on today's Lighthouse Report. Neighbors… We all have them! And they are the topic on today’s Lighthouse Report with Steve Douglass. Three Superbowl championships and now a NASCAR racing team... God’s plan for Joe Gibbs has never been short on excitement. Joe joins us today on the Lighthouse Report. Searching for God’s will can sometimes be a challenge, can’t it? Well, today on the Lighthouse Report, Larry DeWitt recalls a time of deep searching in his life. Being available is exciting. Are you available to God for the opportunities He gives you to share His truth? Today on the Lighthouse Report, Craig Parshall tells of a time he and his wife were able to share Christ though a local equestrian event! Despite missing most of his fingers and toes at birth, Greg Stoughton was challenged to reach for greater heights. Today on the Lighthouse Report, Greg shares a personal story. Live your life as a Light for people to see. As Michael Allen explains, this lifestyle can make all the difference in people’s lives. He discusses that on today’s Lighthouse Report. Have you discovered the difference prayer can have on your neighborhood? Today on the Lighthouse Report, Debbie McGoldrick says caring enough to pray for your neighbors is where it all begins. You know, helping people grow closer to God is something we can all do. On today’s Lighthouse Report,Frank Samuelson says it can start with inviting God into your everyday activities. Listento hear what Frank told a friend. We are made new in Christ Jesus. Many of us are familiar with this truth, but sometimes, it can be hard to fully understand. Today on the Lighthouse Report Ketrick Newell gives his thoughts. Finding your place in the body of Christ. It can look different for each individual. Singer Jodi King(with Love and the Outcome) has traveled the world. That has helped her understand God’s love more deeply. Being in the right place at just the right time... You know, God often gives us opportunities to be a Light for Him, we just have to be ready, willing and available. Host Steve Douglass explains on today’s Lighthouse Report. So … what is it that hinders you from praying for people? On today’s Lighthouse Report, Colin Millar shares his unique perspective. Jim Kelly spent a decade as one of the best quarterbacks in the NFL. He led his team to four straight Super Bowls without ever tasting victory. He joins us today on the Lighthouse Report. Being a resilient leader is a quality that has always marked Jim’s life. Ever wondered how God might use you to influence people? Kelly Steffen shares her thoughts today on the Lighthouse Report.